If you want to stage your home on a budget, this is the post for you. As you adventure into the realm of selling your Kirkland, WA home, you will find a wide variety of advice from agents, home stagers, and more. Some will say invest more into your home so you can sell it for more. Others will say sell it as is and get what you can. 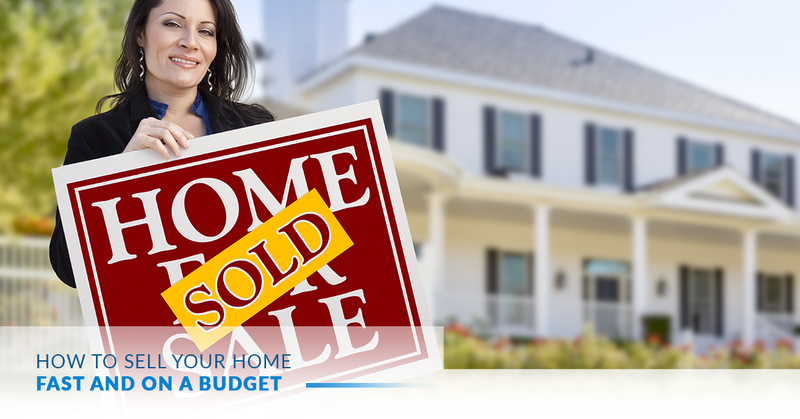 For the most part, your home will sell for the market price; however, you can sell it for top dollar while on a budget, too! In this post, IntExt Staging shares the top 11 ways to stage your Kirkland home while on a budget. Furnish only the rooms that matter (kitchen, living room, dining room). Skip bedrooms (unless they are oddly shaped or sized). In fact, storage units are getting more expensive. You can find services online that will ship you boxes to pack. Then, you can ship those packed boxes back to the company. The fees to store your belongings through these types of services have been shown as less expensive than traditional storage units. Do your research and find a ship to storage service to save money. Do you have old furniture that should be replaced before you stage your home? Instead of buying new furniture, add a slipcover. You will spend less covering your furniture, and you will be able to use it for the staging process. This will save you money and time. Instead of repainting the entire interior of your home, go buy one quart of paint and pick a wall to accent the room. Choosing a top color from a wide array of colors at your local home improvement store can make a huge difference in how the interior of your home makes potential buyers feel. Do you have a fireplace or mantel lost in a sea of similar colored walls? A quick color change can warm up a room. You can add decor, paint, and other features to a room to raise the ceiling height visually. In older homes, the ceiling height is rarely more than eight feet. This means that the ceilings can feel short. Add a vase with vertically positioned wild foliage or flowers to “stretch” the walls and raise the ceiling. You can do the same with shelves, bookcases, and more. The thin, tall decor items and pieces used in the room will help make the ceiling look taller. Did you know you can find bedding-in-a-bag for less than $20? If your bedrooms need a quick overhaul, and you’re on a budget, new bedding can really highlight the function of bedroom well. Choose colors that grab attention and compliment or contrast the existing decor or furniture in the room. If you cannot make a complete bathroom renovation happen, consider a quick bathroom faucet face-lift. Change out the faucets to add that added touch to the bathroom that makes everything else look new. Want to make your home look more spacious and add depth? Layer your lighting. Add a lamp, ceiling light, and natural light to layer the types of light illuminating the space. This layering will add depth and give each room in your home some character. It can be tempting to keep your favorite curtains from a decade prior, but it’s imperative you at least replace them with something more current and modern. Outdated decor will only hurt your chances of selling your home fast in Kirkland. Do you need to purchase some furniture to stage your home? Spend a weekend at yard sales and thrift stores. You will find pieces that work to stage your home and sell it fast. Remember, you can always buy a couch and then slip a cover over it to make it work. The same goes for decor. You can repaint it or modify it. It can be tempting to call a home staging complete once you paint, update the furniture, and add decor, but you have one more budget-friendly opportunity to make potential buyers feel at home. Create vignettes throughout your home of it being in use. For example, set a coffee mug, plate, and newspaper on the dining room table. You can also place a pair of glasses and a book on the bedside table in the bedroom. The small touches throughout the home will make the house look accessible to those searching to buy. Want to sell your home fast and for top dollar? IntExt Staging serves Kirkland home sellers with affordable rates and years worth of expertise. One call does it all! Give us a call to get a free initial consultation.